A special sale for a bunch of finnish games on Steam has started. This is to celebrate the centenary of Finland's independence and will last until 8th of December. This 100th year of Finland's independence culminates on 6th of December, for that is our official independence day. During this anniversary period we are also celebrating the extraordinary Indie-dependence days for it's been 25 years of playable UnReal World releases. In other words, the game has been out there for 1/4 of its development nation's official existence. We celebrate with the sales, new video greetings and finally the release of 3.50 beta version on 6th. You can find your way on our Steam page here, and lifetimers also will find the new video greetings at the forums lifetime membership section. Otherwise we want to stay thanks, cheers, and respect to you all! 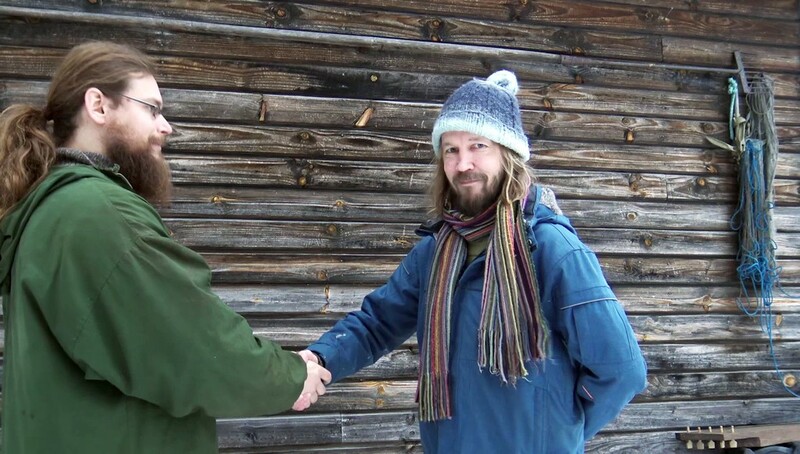 From left to right; Erkka (co-designer), and Sami (creator) shake hands for it's the special Indie-dependence day. 1/4 centenary of playable UnReal World releases, and full centenary of Finland's independence. I wish you more than that, just 50 more years of development and it will be half of total Finland's independence. Hopefully we will all live at least that long.